August 18 , by Mardi Robyn. I liked the looks of the Fabric Tassel Necklace tutorial so much that I decided to make a list of more DIY Tassel Jewelry. 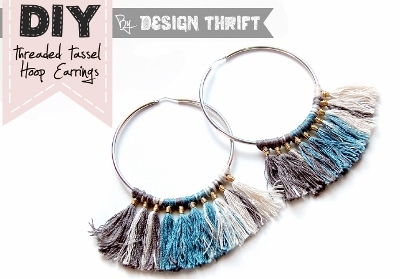 Let’s start this off with a tutorial on making DIY Threaded Tassel Hoop Earrings. Trendy, and lightweight. You can learn how to make a cute pair of DIY Tassel Earrings here. They can be made in a variety of colors and look easy to make. This tutorial is in another language but the pictures are easy to understand or you could use a the Google translator. 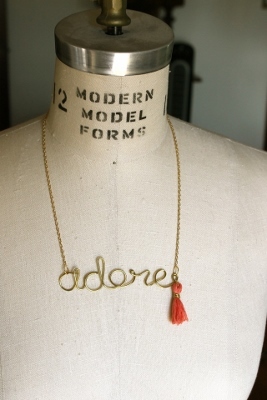 How cute is this Wire Word Necklace with a tassel for added accent. Just one of the many ways you can use tassels in your jewelry designs. Take a look! I like the vibrant colors of this pair of DIY Rhinestone and Tassel Earrings. This tutorial combines jewel cabochons and ready made fringe to make the tassels. 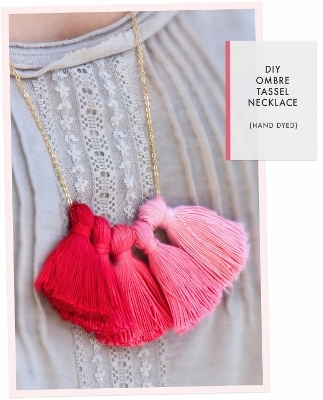 The last tutorial in this list of DIY Tassel Jewelry Tutorials is a DIY Ombre Tassel Necklace. In this tutorial not only will you learn how to make fringe, but you will learn how to dye plain white fringe to make an ombre necklace.